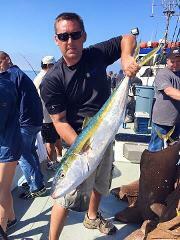 Great for both novice and experienced fishermen, these 5-6 hour evening deep-sea fishing trips can fish over 40 miles of coastal waters. Twilight fishing is a great way to spend an evening after a hard day at work. 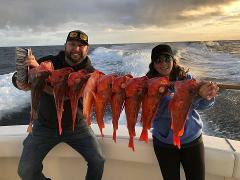 These 24 hour deep-sea fishing trips fish legendary offshore fishing grounds from San Clemente Island, Catalina Island, Santa Barbara Island and offshore banks such as Cortez Banks, Tanner Banks and has the ability to fish Mexican waters. 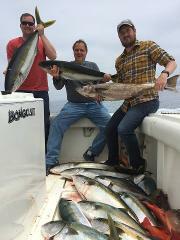 The Ultimate Limited Load Half Day onboard one of our fishing 6 pack cruisers. Only 6 passengers maximum. Lots of room, amenities and the latest technology. 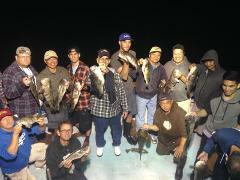 Catch a trophy halibut, lingcod, bass and much more! 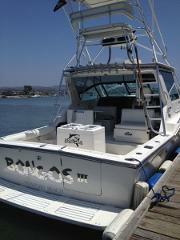 Half Day or Full day private rental fishing along the Southern California coast, Catalina Island or San Clemente Island.